Clive Cussler can pump out the action stories. Whether it’s the Corporation, The Oregon or Sam and Remi Fargo novels, you are guaranteed an adventure. The nice thing about all of these adventures is that Cussler does his research, and all descriptions of locations are accurate. With a little mystery to solve and a whole lot of danger, this book is no exception to the suspense experienced with Clive Cussler’s stories. “Husband-and-wife team Sam and Remi Fargo are in Mexico, when they come upon a remarkable discovery—the skeleton of a man clutching an ancient sealed pot, and within the pot, a Mayan book, larger than anyone has ever seen. The book contains astonishing information about the Mayans, about their cities, and about mankind itself. The secrets are so powerful that some people would do anything to possess them—as the Fargos are about to find out. You will not want to put the book down or stop listening if you prefer the audiobook. Speaking of the audiobook, the narrator is one of my all time favorite audiobook voices, Scott Brick. Scott has a delivery in all his readings that make the books just as exciting as the actual story. I will never turn down an audiobook read by Scott Brick. This book was just over 10 hours time for the audiobook, but it was so fast paced it was over way too soon. The good thing is, that Clive Cussler has lots more stories to choose from, so, on to the next. To start things out, I’ve gotta say this was one of the funniest sci-fi romps through time I’ve read. 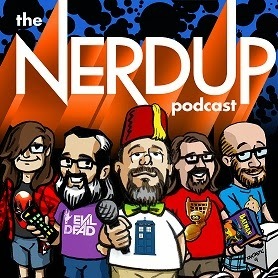 If you like time travelling adventures with some humor thrown in, check out this audiobook. But before I talk about the story I think it’s best to talk about the story behind the story. 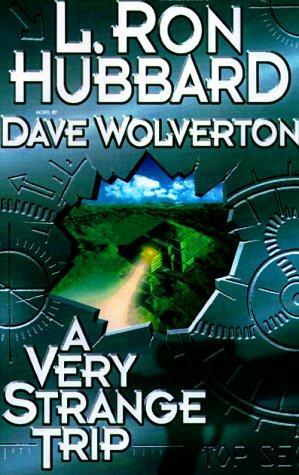 The original book was an unfinished story by L. Ron Hubbard and being a winner of Hubbard’s “Writers of the Future,” Dave Wolverton was asked to finish the story. Dave Wolverton began writing during college and entered short stories into various contests, but his career kicked off in 1987 when he won the top award in the L. Ron Hubbard “Writers of the Future” contest. Writers of the Future (WOTF) is a science fiction and fantasy story contest that was originated by L. Ron Hubbard in the early 1980s. Hubbard characterized the contest as a way of “giving back” to the field that had defined his professional writing life. The contest has no entry fee and is the highest-paying contest for amateur science-fiction and fantasy writers. Other notable past winners of WOTF include Stephen Baxter, Karen Joy Fowler, James Alan Gardner, Nina Kiriki Hoffman, Jay Lake, Michael H. Payne, Patrick Rothfuss, Robert Reed, Dean Wesley Smith, Sean Williams, Nancy Farmer, and David Zindell. The winning stories are published in the yearly anthology ” L. Ron Hubbard Presents Writers of Future.” The contest enjoys a favorable reputation in the science fiction community, For twenty-five years, L. Ron Hubbard’s Writers of the Future Contest has discovered and nurtured a steady stream of new authors who have changed the face of SF. Chosen by an impressive panel of judges drawn from the biggest names in the genre, taught at a remarkable week-long workshop, and celebrated at world-class venues such as the Kennedy Space Center, the United Nations and the Science Fiction Museum, Contest winners are given the best possible foundation for a long-standing writing career. Recently Galaxy Press has released a retrospective book, “Writers of the Future, the First 25 Years,” that is filled with more than a thousand spectacular images, interspersed with over one hundred success stories and testimonials, this book celebrates the first quarter century of Writers of the Future, this is the perfect coffee table book for any sci-fi fan. When this novel was released in 1998, it received some negative feedback due to its simplicity, but that is one of the things that I feel makes this book fun. 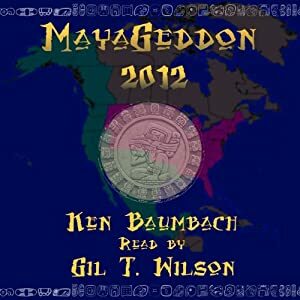 No matter what, though, the audio version produced by Galaxy Audio is a terrific romp through time with some great vocal actors and sound effects so realistic you will actually feel like you are in the middle of a mastodon stampede. There is a full cast and each of the vocal actors portray their parts with the same over the top vigor that makes for one of Hubbard’s typical comedic stories. The sound effects are superb, in fact there was a moment in the book where the time machine lands its crew in the middle of a mastodon stampede and it sounds just like you would imagine it to sound. You know the production crew couldn’t go out and record such an event so they had to make it up and Galaxy Audio excelled creating great sound effects that move the story along without overpowering the story. The story is a humorous story beginning in 1991 when Everett Dumphee is caught by police with moonshine in the trunk of his uncle’s car. Dumphee’s family history of moonshine and bootlegging goes back generations. Everett Dumphee is faced with the decision to spend ten years in prison or to enlist in the United States Army. He opts for what he thinks is the easy way out, the Army. Dumphee is labeled as the fastest bootleg driver in West Virginia and is issued the occupational specialty designation of Expert Truck Driver. He is then selected for a top-secret assignment in a newly designed and state-of-the-art All Terrain Vehicle transporting a contraband Russian time machine and developmental weaponry. Private Everett Dumphee finds himself cast into new settings when the device suddenly activates after the vehicle nearly crashes into a Mcdonalds. What follows are fantastic high-tech experiences that might be called the ultimate off-road adventure through time. The first stop is at Fort Pitt, in the 1700s . The ATV lands outside the fort and soon while trying to find food Dumphee accidentally purchase three Native American Squaws, who think he purchased them as his bride. When trying to escape the British the crew of four begin their adventures through time, visiting the Ice Age, the time of Mammoths, Mastodons, Sabre Tooth Tigers, the time when Mayans lived in West-Central Illinois (near where St. Louis, Mo. is in Dumphee’s time), to the age of dinosaurs, the year 1870, all while heading to the original destination of Denver, Colorado to try and deliver the ATV full of experimental weapons and the time machine. So really it’s not a matter of where he’ll end up, but when. While the end of the book leaves you hanging with the feel of a sequel coming out, I don’t think that will happen without Hubbard. Wolverton could probably take the next with no problem, but if he did I would hope he takes that unpredictable, over the top fun that makes this story. Wolverton and Hubbard definitely did some research of the times covered in this book writing in some details that make the story more fun and almost believable, almost. The audiobook version of the book is the way to go. Galaxy Audio knows how to create audio drama, and their production of this book makes the listen a great experience.